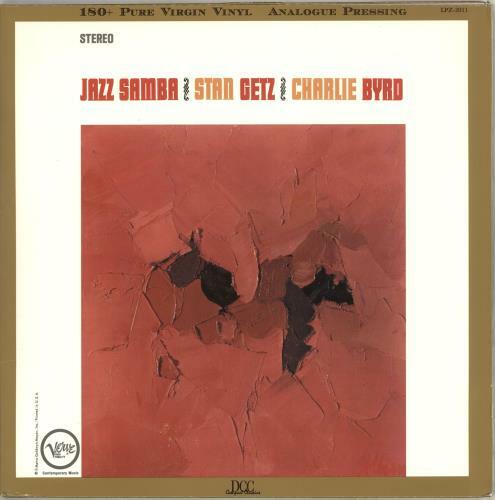 STAN GETZ/CHARLIE BYRD Jazz Samba (Autographed Limited Edition 1995 US audiophile issue of the 1962 7-track stereo LP, pressed on 180gram Virgin Vinyl & mastered by Steve Hoffman on the 'whisper' speaker system & cut with an allvacuum tube cutting system. Comes housed in a gold bordered gatefold sleeve with a numbered sticker on the back. 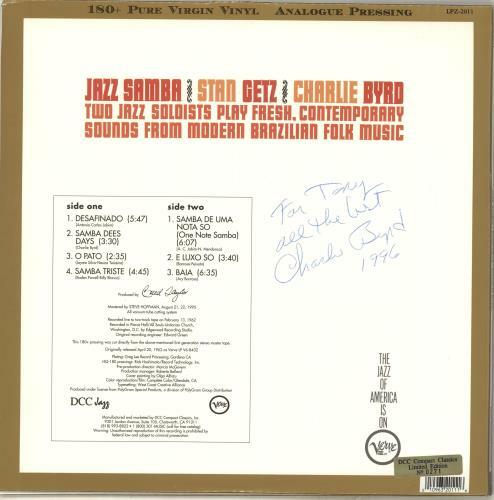 The vinyl is Near Mint - this collector's copy is signed 'To Tony, All The Best, Charlie Byrd 1996' in blue biro on the back cover! LPZ-2011). or visit our Charlie Byrd image gallery.